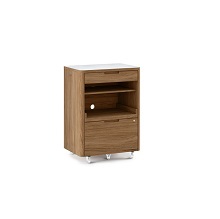 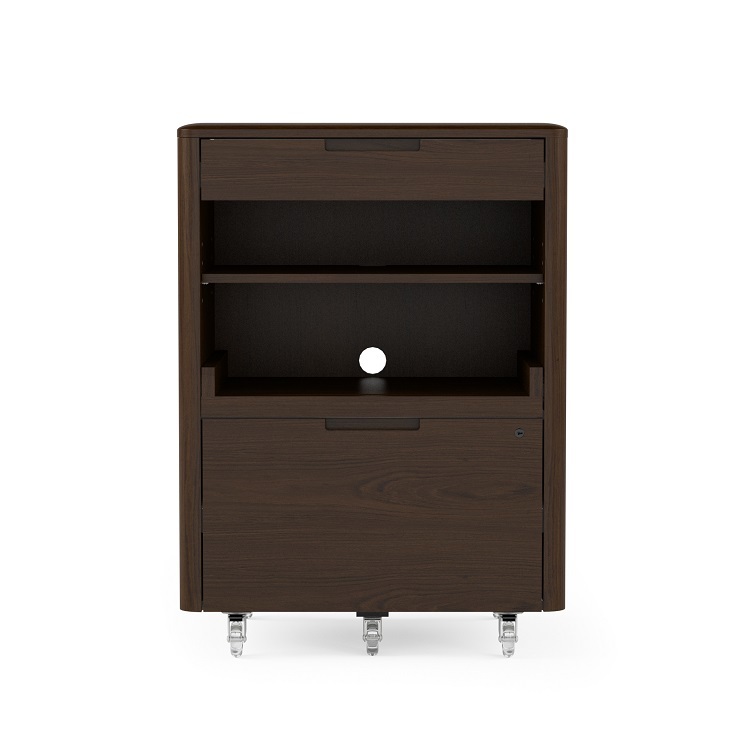 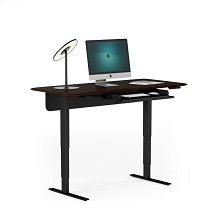 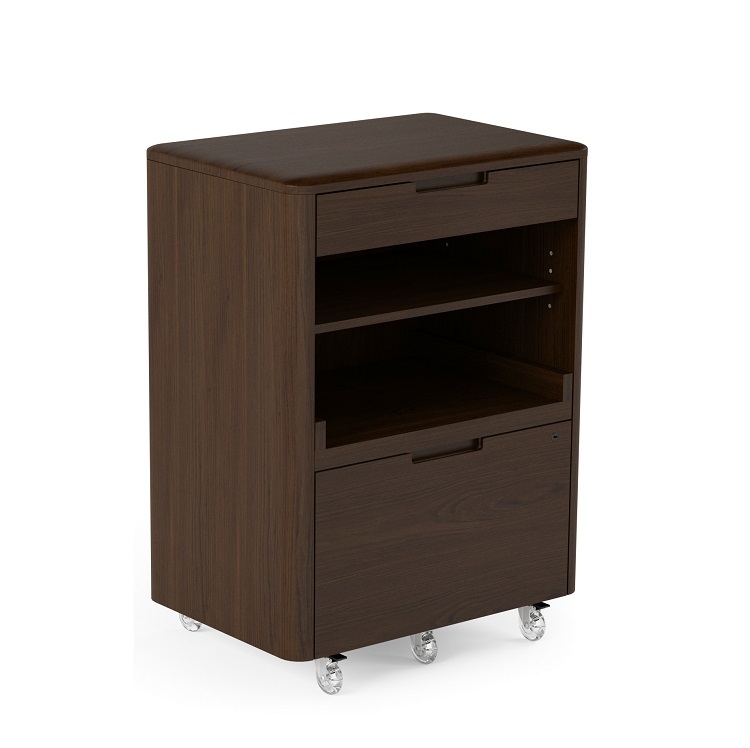 The Sola multifunction tower, available in toasted walnut, is designed for both form and function. 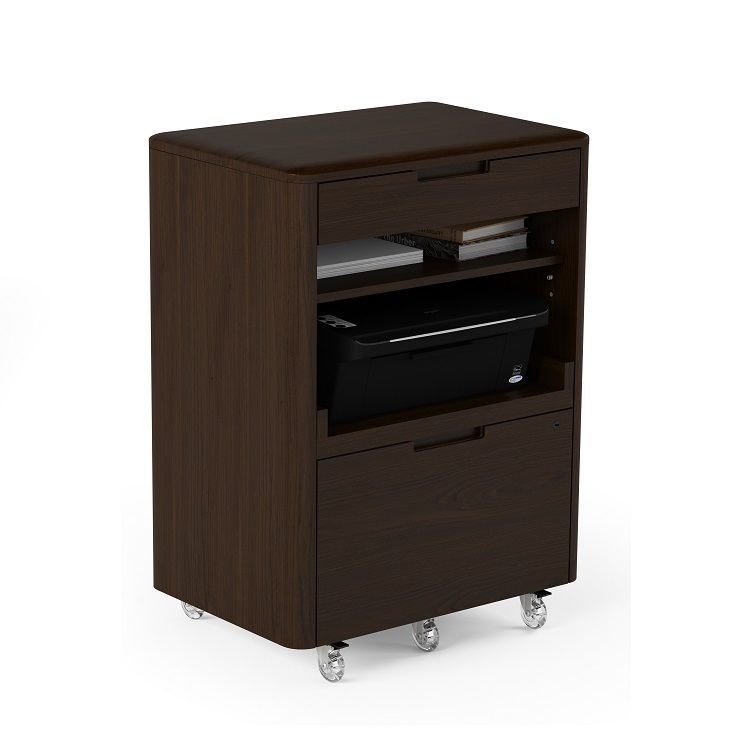 The cabinet, which complements the Sola lift desk, has a top storage drawer, pull-out drawer for a printer, and a drawer for files. 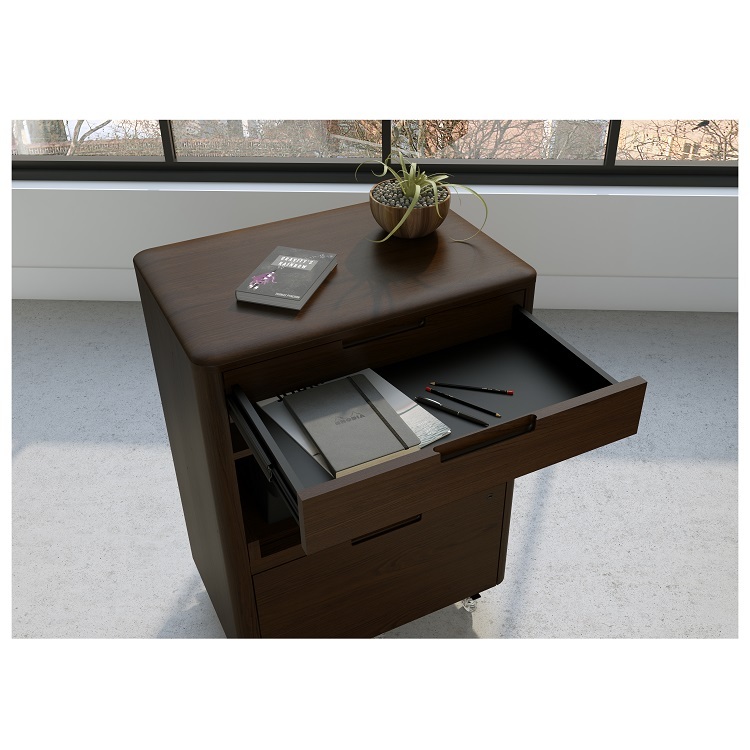 The drawers have a locking mechanism to keep your files secure.